When you take a drive around our area, you see many different styles of houses with various examples of siding and exterior accents. Stucco and part-stucco siding has long been a popular choice, used on houses ranging from Colonial to Ranch to Contemporary. It offers clean lines while projecting the inviting 'warmth' we like in our homes. If you own a stucco home you have most likely heard of a problem that has been emerging over the past few years – the potential for finding moisture damage behind stucco facades. Chapman Windows Doors & Siding is proud to offer stucco remediation services. We can help you understand the problem and we have the know-how to fix it: as fully licensed building contractors we have performed over 75 stucco remediations and we have seen it all. While the average remediation jobs have required replacing a few pieces of sheathing plus the installation of new siding, we have had cases where chimneys had to be jacked up and repaired, and whole walls had to be rebuilt. Moisture damage occurs when water infiltrates the exterior cladding and builds up in the exterior wall rather than drying or draining out. Generally speaking, if the stucco and other structural elements of a building are properly installed, water infiltration with moisture damage does not occur. Current building codes ensure this by requiring more moisture protection and better drainage methods. For older stucco homes with a wood substrate under the stucco, a combination of any of the following factors might exist to cause damage. Thinner layers of stucco. 7/8 inch thick stucco is standard. 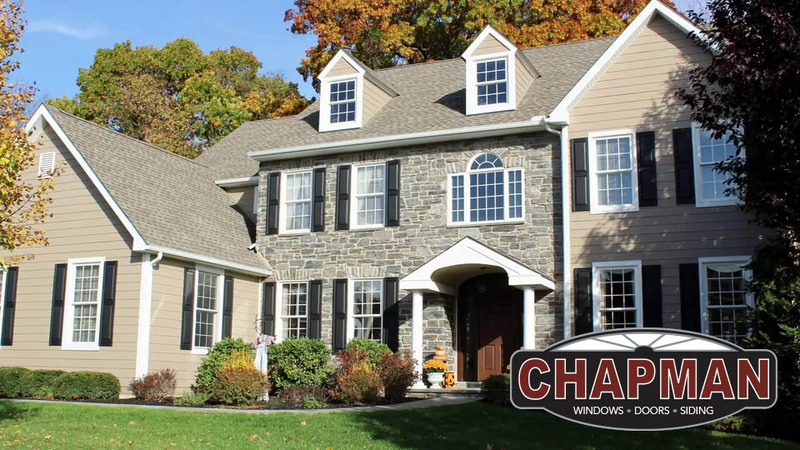 At Chapman Windows Doors & Siding, we have seen that homes requiring remediation tend to have a thinner stucco layer such as 5/8 inch or 1/2 inch thick. The stucco has been installed without a weep screed. Weep screeds allow moisture to escape from behind the stucco without sinking into the wood. Kickout flashing was not used. This is the flashing at the bottom of the roof/wall intersection. Its purpose is to direct water away from the wall. Missing or improperly installed flashing can actually drive water into the wall. Lack of expansion joints in the stucco, which can lead to excess cracking. Lack of expansion joints around windows causing imperfect window seals. Missing or improperly installed window flashing and window and door drip caps, allowing another point of water infiltration. Improper vapor barriers between the exterior cladding and the sheathing. There can be visible signs that you have a problem, but these are not always evident, even if the problem does exist. Look for large cracks in the stucco, staining below windows, areas which lack flashing, and moisture collecting at the bottom of the foundation. While any stucco home with a wooden substrate (wooden framing and some form of wooden exterior wall material) might have moisture issues, we find the highest concentration of occurrences in houses built from the early '90s to around 2010. Older wooden homes tended to be built with a thicker stucco layer and with less airtight construction, making a less permeable, more self-drying house. Newer homes were built to updated code that addresses improved moisture barriers. And of course if your home is built with a solid block substrate, “no wood” equals “no problem”. As the owner of a stucco home, especially if your house was constructed during the '90s to 2010 timeframe, you should respond to the potential issue. Realtors and Real Estate agents in our area report that if you are selling your house you will be asked for a moisture report. Buyers may demand a significant price reduction if you have not addressed any problems. Even if you are not selling, if your house fits or is near to the high-cluster profile, there is no benefit to waiting or ignoring a possible deficiency. If a moisture problem exists, it will continue to grow as your walls become more saturated. This not only causes dangerous and increasingly costly structural weaknesses – it also creates a breeding ground for mold. For your family's safety and health, you will have to act. Your first step is to have an inspection done by an independent inspector. * He or she will first perform a visual inspection looking for signs mentioned above such as cracking, staining, or missing structural elements including flashing, followed by a physical inspection. The inspector will drill pilot holes at tactical points – for example, below a window. (The holes are about the diameter of a pencil and can be easily concealed if you find that you do not have any issues and therefore do not require new siding.) Lack of resistance to the drill alone will alert a good inspector of a potential problem, but they will also use a moisture-reading probe to obtain moisture levels. This may be followed by thermal imaging or additional destructive testing, but not always. When the inspection is finished, you will receive a detailed report of the findings. If your report indicates water infiltration, it is time to call in Chapman Windows Doors & Siding to repair your wall system. Your inspector will have determined missing or improper building elements that allowed water penetration and probable areas of damage. This will form the basis of our estimates. You should be aware, however, that it is almost impossible to calculate the extent of the damage from inspection alone. The situation may be better or worse than the report would indicate. As we evaluate your inspection report we will discuss your remediation options. Stucco 'repair' has been shown to be an ineffective way to address any issues, as it does not correct some common causes of water infiltration or any substrate damage. Assuming you opt to replace your siding, you will need to select a siding material. 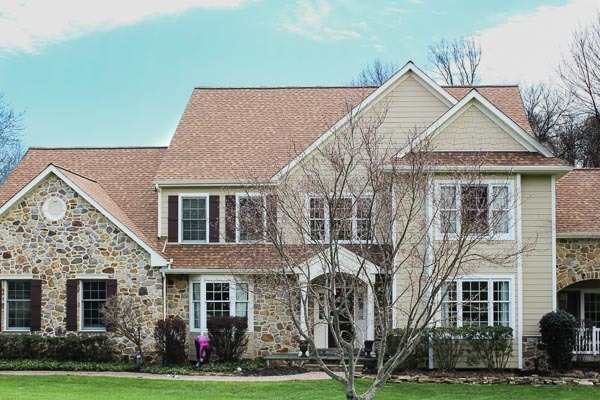 While replacing your existing stucco is possible (and current codes plus attention to building detail will keep it 'safe'), we have found that most homeowners select a new product such as James Hardie stucco panel siding. This is a fiber cement siding that looks like stucco. As your siding is being replaced, we can pull out your existing windows, correct any installation problems, install sill pans if needed, and re-install the existing windows. If you were planning to change your windows within the next few years, though, consider updating them now instead. It will be more economical to combine the two jobs as some costs can be shared. We may need to update roof flashing as part of the remediation effort. Again, if you are close to needing a new roof this might be the right time to re-roof, and we can do that, too. Once we begin your stucco remediation project, we work diligently to identify and repair all deficiencies from top to bottom. 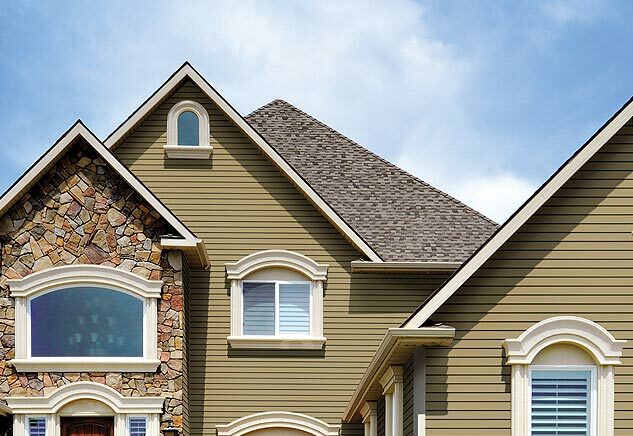 We will remove the stucco, replace sheathing and any damaged framing according to current building codes, address flashing, windows, and other points of moisture infiltration, and replace the siding with your new selected siding. ** We take before and after pictures of all repair points for your records and peace of mind. While no one is happy to learn they need emergency home repairs such as stucco remediation, you can be assured that our experts at Chapman Windows Doors & Siding will be with you every step of the way. We have the experience required to conduct a thorough top-to-bottom stucco remediation and a genuine desire to help you enjoy your home. If you have a problem, we are here to help! *Your inspector should be certified as a home inspector and have stucco inspection credentials such as those provided by National Association of Home InspectorsTM or American Society of Home Inspectors® affiliated training and certification programs. Get references and expect your inspector to participate in continuing education programs. 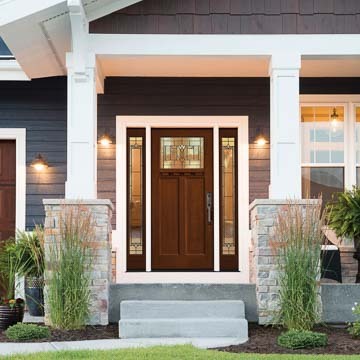 **Chapman Windows Doors & Siding offers a full range of engineered siding products including stucco-like fiber cement. If your heart is set on stucco, we recommend that you hire a licensed full range builder such as Chapman Windows Doors & Siding to handle all aspects of the job.